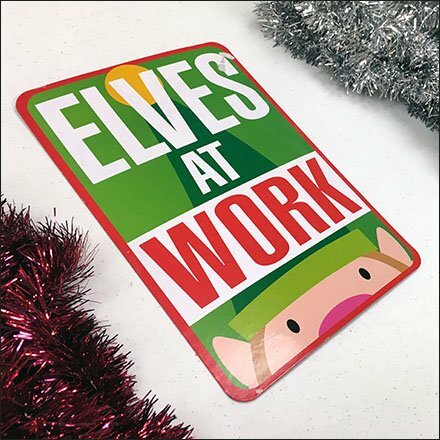 Usually this type of sign is a warning … be careful, physical work in progress, Christmas Elves Hard At Work In Retail. But Elves at Work is more a joyous thing, and tied to the seasonal merchandising theme. So call your crews Elves, dress appropriately, sign like this, and go with the Christmas Holiday flow. Christmas Elves Hard At Work In Retail.